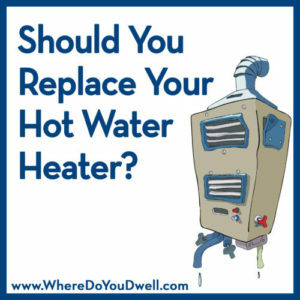 Should You Replace Your Hot Water Heater? Have you ever been the last one to take a shower and run out of hot water? It could happen when you have too many overnight guests or one family member known for long showers! But, what happens when your hot water heater stops working efficiently on a daily basis, guests or no guests? That’s when you might need to replace it. When your water heater is working properly, it is able to warm up water of varying degrees for all sorts of water demands. Just think of how many times a day you or a family member uses warm or hot water for hand-washing, showers, baths, laundry, cooking, and cleaning dishes, etc. Whether you’re a new homeowner or have been in your home for a while, be aware of potential issues you could face with your water heater. Some issues could be fixed, but others could mean it’s time for a replacement. Getting Old. Most electric water heaters on average last 10 years. Gas heaters usually have a shorter lifespan of up to 8 years. If you’ve been in your home for a while, then keep tabs on your heater. You can determine its age by the serial number on the manufacturer’s sticker. The first two numbers after the letter indicate the year it was manufactured. You might want to consider replacing it before it causes any other issues (rust, noise, leaks, and loss of heat). Getting Rusty. Whether you have rusty water from your faucets or rust on the outside of your water heater near the valve, it’s not a good sign. That means the steel is rusting, on the inside or outside, and that means the potential for a damaging water leak. Time for replacement! Making Noise. If you hear rumbling and loud noises coming from your tank every time you need it to heat up water, then it’s no longer efficient. It’s a sign of sediment buildup (which should be flushed out each year). If it still makes noise after flushing, then it’s getting old and the potential for leaks from cracks increases. Time for replacement! Leaking Water. When you see a pool of water around your water heater, it could signify a crack or a fracture. However, there could be something wrong with the fittings, which can be fixed. Have that checked out first. A crack or fracture of the tank itself, though, means you need a new heater. Not enough heat. If you find your water heater isn’t heating up enough or working too hard and too long, then it’s time for some detective work. First have it checked out to see if something is wrong with the thermostat or the heating element, and if they can be fixed. However, it you consistently don’t have enough hot water, then your tank could be too small for your family’s current needs. If it’s getting older and you have this issue, it might be worth replacing it sooner than later. If you decide it’s time for a new water heater, do your homework first to make sure you get a tank that fits your family needs and your home’s configurations. Plus, you could consider either a traditional water heater or a tankless one. Determine if you need to have a larger tank with a higher gallon capacity that can handle your family, especially if it’s growing. 40-50 gallon heaters are the most common. Determine if you need to have a better recovery rate, which is the number of gallons it will heat up in an hour. Determine the width and height of the space for your new water heater. You might be limited on an upgrade if you can’t fit it. A larger tank may not be an option! Try and save energy with your new heater, so look for energy efficiency ratings. It can tell you the cost of operating for the year. Remember, that water heaters use lots of energy. A traditional water heater stores and preheats 30-50 gallons of water in an actual tank. This preheated water will be ready in the tank for your needs, whether it’s a shower or washing clothes. It refills and reheats during the day. It can be electric or gas. Its initial cost is low but over the long run you’ll have a higher utility bill since it’s refilling and reheating water whether you demand it or not. The tank needs to fit your home’s dimensions for its allotted space. It can run out of hot water and you’ll need to wait for the tank to refill and reheat. It needs to be replaced more often since it has a shorter lifespan (around 10 years) than a tankless. A tankless water heater doesn’t store water in a tank (obviously) but rather uses a heat source to warm up cool water on-demand. It provides 2 to 3 gallons of hot water per minute. It also can be electric or gas. 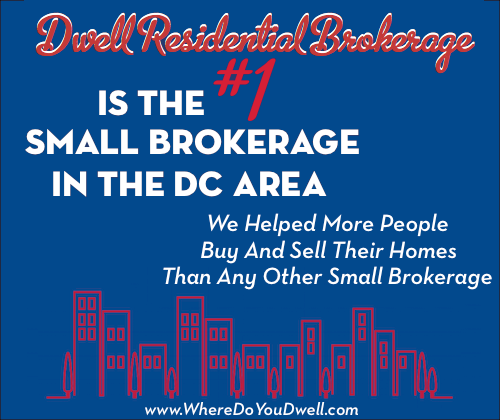 It has a higher initial cost to install since it’s more complicated and could involve retrofitting if you are replacing a traditional heater. You do save energy over the long run and will see lower utility bills. It doesn’t take up too much space and can be installed in many places, including outside. It has a longer lifespan of 20+ years, almost double. As you can see, replacing your water heater will most likely happen at some point if you live in your home for a while. Continue to care and maintain your current water heater to help prolong its efficiency, but be aware of when it might need to be replaced.